It turns out that princesses love to ride motorcycles! This is a new side of the Disney princesses about which very few people know. Elsa, Rapunzel, Moana and Merida are fond of motorcycles. For this occupation, dresses and luxurious hairstyles will not be very comfortable, and therefore it is worth looking at the suits for riding a motorcycle. 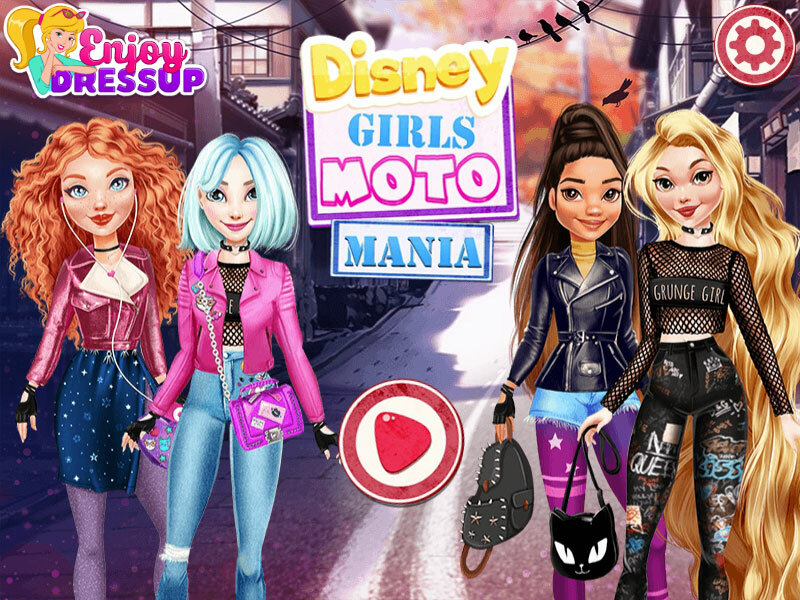 In this game of the disney motomania princess dress up game you will be able to attend a biker convention and pick out our favorite girls stylish and comfortable costumes for riding a motorcycle. At the beginning of the game you will be able to choose one of four compositions, and then choose one of the girls and begin to pick up a biker suit for the princess. Played: 3132. Added: 13-11-2018, 00:49. Disney Girls Moto Mania dress up game.